Today we are taking a look at a card with a bit of a difference, and only offered by a few of ATI’s board partners; the Radeon X800 SE – this particular one is from MSI. The Radeon X800 SE was initially an OEM-only card, but now it seems that – much like the Radeon X800 XT on AGP – ATI have decided to allow a select few board partners to release this unofficial part into retail. 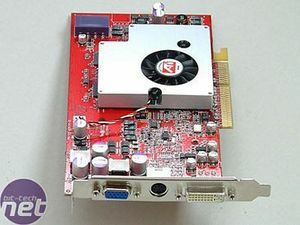 Now, back during the days of the Radeon 9800 series, there was a Radeon 9800 SE, or rather two different versions with differing memory interfaces: there was one with a 256-bit memory interface, and one with a 128-bit memory interface. However, both had four fragment pipelines and four vertex shaders. The remaining four fragment pipelines were still present on the core, as it used the same R350 core as the Radeon 9800 Pro, which could be unlocked via a driver soft mod – success wasn’t guaranteed, but there was around a 50% chance of getting a card that did. Moving forward to today, the Radeon X800 SE is based around the same core that the Radeon X800 XT Platinum Edition, X800 XT and X800 Pro are all based around, but with two quadrants of fragment pipelines disabled. However, unlike the days of the 9800 series, the X800 SE is not capable of a driver soft mod – a BIOS flash is required to enable the extra eight pipelines, which may, or may not be fully functional. This is something that we do not recommend, as you may not be able to flash the BIOS back to its original if the mod is unsuccessful. The card has 256MB of 2.0ns Samsung GDDR3 on board texture memory, which is clocked at 400MHz (800MHz effective). 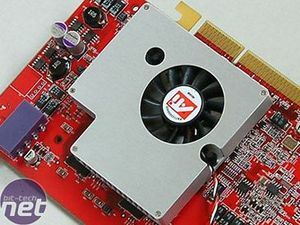 It remains on the R420’s 256-bit memory interface, so no memory bandwidth is lost from the relatively low memory clocks when compared to the likes of the GeForce 6600 GT. The chips are not cooled by the heatsink, and are left to passively cool themselves. This comes as no surprise to us when we have already seen the likes of the Radeon X800 XT Platinum Edition not requiring additional cooling for the memory, which is clocked at 560MHz (1120MHz effective). The heatsink is similar in design to the one seen on ATI’s Radeon X700 XT (which is no longer an official SKU), however it is a good deal quieter than the earlier design. This one is made entirely from aluminium, and we are slightly disappointed not to see any form of MSI branding on the product itself – there aren’t many partners offering this video card in their range, but it would be nice to know that it is an MSI with some form of artwork. The fan, as mentioned, is fairly quiet and does not whine or spin up like the one that was on the Radeon X700 XT. We used several titles to try and generate the maximum heat possible to test whether the fan was of variable speed; from our testing, we can establish that the fan is not a variable speed fan, or the threshold to cause it to “spin-up” was not reached during our stress testing at both stock, and overclocked settings. The back plate features the standard connections on a single slot blanking plate – much like all of ATI’s X800 series video cards. There’s the usual D-Sub, TV-Out and DVI-I connectors to allow for a wide range of display outputs – the bundle also includes a DVI-I to VGA converter for those of you who are running two analogue monitors. 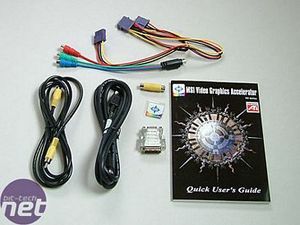 Along with the DVI-I to VGA converter, there’s a wide selection of cables and connectors for the TV-Out connector, including an RCA composite cable, an S-Video cable, a 7-pin S-Video to HDTV cable and an S-Video to Composite adapter. 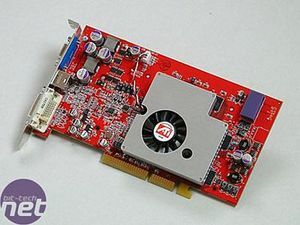 The plethora of CD’s are a familiar sight with any MSI video card in this day and age – this one is no different. 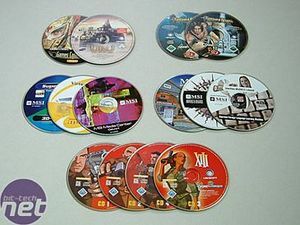 There are no fewer than three full game titles: XIII, Prince Of Persia and URU, along with several video/photo editing programs that come as a welcome inclusion. There’s also the standard Driver and Utility CD included as part of the package; however, if you are reading this we recommend that you use the latest Catalyst drivers that are available on ATI\'s homepage, as they will be more up to date than what is included in the box.